A snowstorm came through just the other night coating the park in fluffy whiteness. 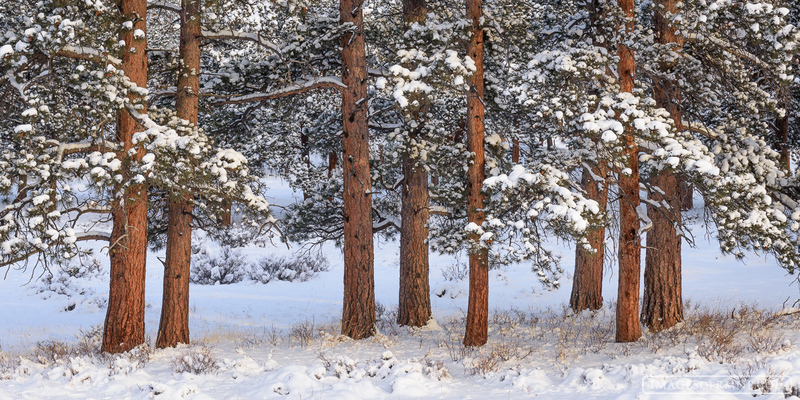 On this morning just as the sun broke out for the first time it lit the trunks of this ponderosa stand filling them with life and color. For some reason these trees when covered in snow make me smile and remember the goodness of life. Maximum print size: 30x60. Photo © copyright by Erik Stensland.